22 years ago today, my life changed forever. My father took his own life in a deserted parking lot in upstate New York. After years of deep and constant addiction to alcohol, his demons became more than he could bear. His dark nights of the soul were many, and this dark night in particular ended in utter despair. Now, I find peace in knowing that he is finally at rest after so many years of torment. Every year the anniversary of my father’s death falls during Advent. 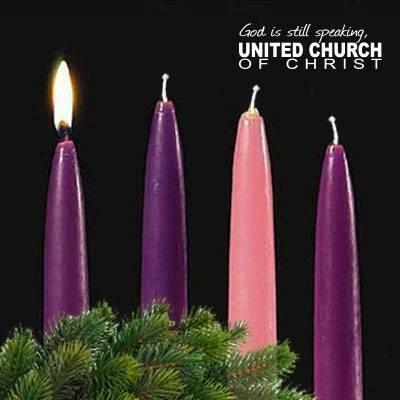 It falls during the time in the church year when we light candles into the darkness as we watch and wait together for the coming of Emmanuel, God with us. We speak the profound truth that Christians for millennia have whispered into even the most consuming darkness: In Jesus, there is hope. We are not alone. Embracing the light of hope when we cannot see the road ahead and do not know where it leads is a powerful leap of faith. It is a terrifying exercise in trust. Hope is the addict who walks into their first 12-step meeting after years of battling addiction alone. Hope is the young person whose life is being cut short by vicious cancer, but commits to living every moment with bold compassion and a heart cracked wide open. Hope is the friend who reaches out to repair an estranged relationship despite hurt and anger, because love is greater than fear. Hope is an unwed mother in Galilee who finds herself unexpectedly pregnant, and sings a subversive song of praise unto God in spite of her fear. The profound hope brought to us in Christ doesn’t come in a neat, clean, gift-wrapped package with a bow on top. It comes to us in the form of a vulnerable, tiny, baby boy, born in a stable to unwed parents on a cold winter’s night. It reminds us that Christian hope is messy, but with just a little bit of boldness it can conquer even the darkest night. Question: Where are the dark places in your life? This advent, where will you take a leap of trusting God to live into the hope that Jesus’ brings to us? Prayer: Holy One, Sometimes we cannot see the road ahead of us. We have no idea where we are going. We are afraid. ** Yet we know that hope is greater than fear, darkness, or the demons that sometimes consume us. Give us hearts to sing like Mary, and the courage take a step forward in hope. Even one step can help crack open the darkness. We don’t know how you’ll do it, but you promised, God. O Come, O Come Emmanuel. We cannot do it alone. Amen. **Thanks to Thomas Merton for saying it best. If you don’t know the Merton Prayer, it’s a keeper. Oh how beautiful. I lost my father in a similar fashion near Easter. If he had just held on a few more days spring would have hit, and life would have looked brighter, but it was not to be. Thank you so much for sharing and for the comparisons you laid out for us at the end. Lucinda, I’m sorry for my delay. Thank you for leaving your comment. I’m so sorry you have gone through the same thing, and I’ve passed your thoughts on to Heidi. Blessings!